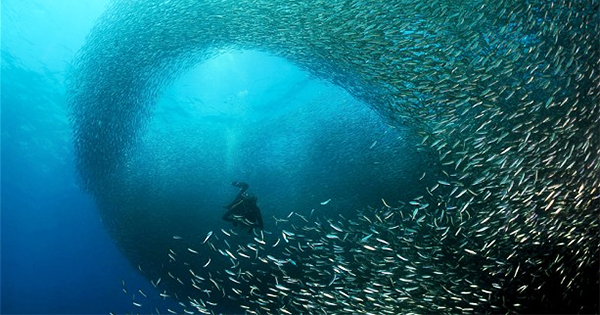 Discover and explore the wonders of Pescador Island, situated in Tanon Strait, Moalboal in the Philippines. This particular island is very popular among recreational divers because there are more than 2,500 species of fish that can be seen around it. Divers will get amazingly clear views of schools of tropical fish, dolphins, turtles, whales, jelly fish, sharks, and more. Even the soft coral reefs are highly visible within 15-35 feet below the water surface. Hard corals can be found at about 130 feet below sea level. #1 - Very accessible: It should take you just about 10 minutes to go from Blue Abyss Diving Center (located in Moalboal) via a boat ride towards Pescador Island, so tarry no more and hop aboard! #2 - Adventurous island hopping: And your fun in the sun is guaranteed with their private tour that will last for 10 hours, Pescador Island hopping, in addition to snorkeling in the fish sanctuary, sardine run in Moalboal, dolphin watching (which depends on the weather), etc. #4 - Marine conservation advocacies: One of the most important reasons you could be going to Pescador Island is having that heart or love for preserving Mother Nature. Hence, a trip to this amazing island will also let you contribute to the conservation efforts being done by the Moalboal municipality in their aim to rehabilitate the reef and mangrove next to making sure that destructive fishing is stopped, garbages don’t go to the sea, and many others.